Influencers have been popularly used to promote brands and products through sponsored posts on social media. Usually, this involves product placements and brand mentions, and the influencers generally get paid per post. But brands are also realising the effectiveness of working with influencers to promote events. This could be anything from brand events and conferences to influencer events and concerts. The partnership works because influencers can help boost visibility and engagement around the brand and event. According to a study by Launchmetrics, 28.1% of marketers preferred to work with influencers mainly for events. And 41.6% preferred to work with influencers for product launches. 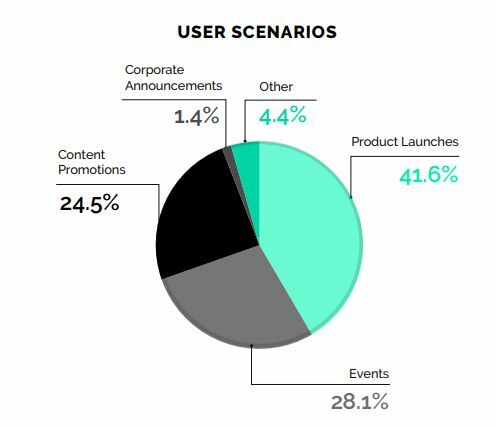 Based on this study, events are the second most popular scenario for marketers to implement their influencer marketing campaigns. But you can’t just invite influencers to your event and expect the magic to happen. You need to carefully strategise the whole partnership to make sure that it delivers the impact you desire. The main reason you’re inviting influencers to your event is so that they can promote it for you by talking about it on social media. But you need to remember that these influencers won’t share pictures from an event if those pictures don’t look good. They have an image to maintain, which means they need to always share visually-appealing photos and videos. If the lighting is bad or the decor is too tacky, they can’t take a good picture. Either way, your influencers might not be too enthusiastic to talk about your event with their followers. 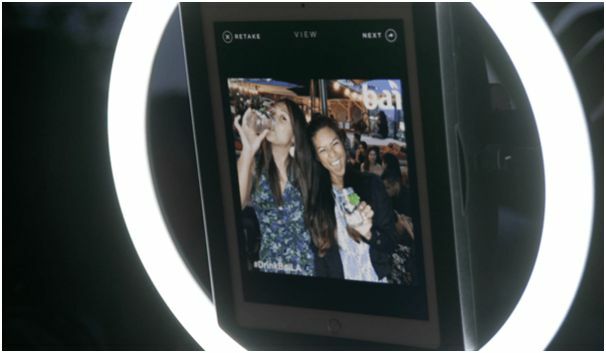 So it’s crucial that you use Instagram-worthy decor and ensure proper lighting for flattering pictures and videos. This way, you won’t even have to tell the influencers to take pictures. They will proactively share Stories, photos, and live feeds to tell their followers all about the “awesome” event they got invited to. Even if it’s the type of event that doesn’t really call for full-fledged event decor, you should still ensure that there are opportunities for influencers to take good pictures. This means you should have good lighting, and make sure that other aspects of the event are picture perfect. This could include your event accessories, place cards, food, banners, tablecloth, etc. Boudin SF wanted to drive more foot traffic to their Southern California locations for their Summer BBQ Campaign. So they decided to invite influencers for a Luau-themed “pig out” event. They put together eye-catching event decor and created custom signage. They also assembled brand swag bags. This, coupled with the drool-worthy food presentation, got the influencers to create plenty of content about the bakery and the event. Overall, they created 50 social media Stories and dozens of quality images. All of the influencer-generated event content resulted in 1.5 million impressions, out of which 425k were unpaid. You can’t get just any influencer to promote your product through sponsored posts. Likewise, you can’t invite just any influencer to your event. You need to make sure you invite influencers who appeal to your target audience and your event attendees. This means you should carefully study your guest list and your social media audience. Look at their demographics and try to identify which influencers will be most ideal for your event. You can even ask your audience directly through polls and surveys on social media. You could put together a few celebrities and influencers, and ask your audience to choose their favourites. Based on their responses, you should be able to gather some information on the kind of influencers they look up to. If your guest list features important people and celebrities, you could also do a quick check on social media to see if there are any specific influencers they follow. This might also help you gain a better understanding of whom to invite and whom to avoid. In a lot of cases, you may want influencers to talk about the event even before it begins. They could share pictures of the invite and what they’re going to wear. Or they could share information about the event to remind their followers about it. This will help generate buzz and excitement and get people to tune in for more event-related content. Pre-event buzz is especially important if the event involves some type of audience involvement such as product launches, concerts, etc. You might need to generate pre-event buzz if you want to drive higher attendance or you need audiences to take some action soon after the event. This could be anything from visiting your store to buying your newly-launched product. For the 11th annual gathering in 2017, they invited local influencers to help promote the event. This includes local media personalities like Michelle Marsh of ABC7, Karen Huger of Real Housewives of Potomac, and Paul Wharton, a local stylist with more than 50k Instagram followers. Each of the influencers published a minimum of one promotional post before the event, along with more posts during and after the event. They were given complimentary admission with a plus one to the pre-event reception. All of this promotion resulted in a total attendance of more than 750 people, which was a 25% increase. 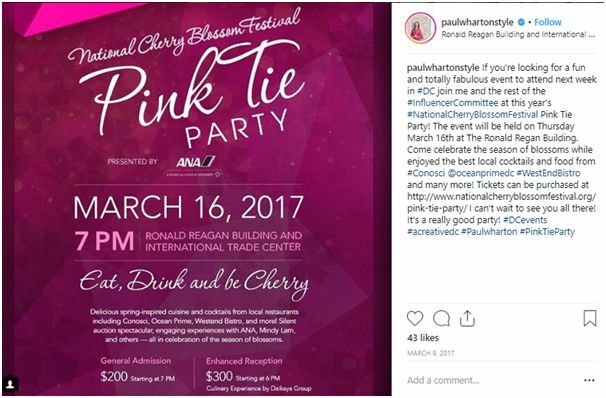 In the screenshot below, you can see how Paul Wharton promoted the event on his Instagram. He included details about the event like the time and date, venue, ticket cost, etc. This made it easier for his followers to get all of the information they needed before they bought their tickets. As mentioned earlier, the whole point of inviting influencers to your event is so that they will talk about it. You should brief the influencers beforehand and encourage them to share photos and videos of the event with their followers along with the event hashtag. They could even share a live feed or share Stories to document their experiences. Not only should they share content about the event once it ends, but they should also share content during the event to let their followers in on the experience. Live event content and Stories can be a great way to maintain authenticity. Influencers will capture the moment in real-time and post content that isn’t edited or airbrushed. So their audiences can get a real feel of what it’s like to be part of the event. This is a great way to get audiences involved and make them feel closer to your brand, especially if the event is not open to the public. Bai, the edible essential oils brand, wanted to increase brand awareness and sales in San Diego and Los Angeles. They ran an influencer marketing campaign and decided to amplify it by hosting an influencer event. For the event, they created custom cocktails using the essential oils and also put together an edible essential oils bar. They also had activities like live murals, mason jar decorating, temporary tattoos, etc. In addition to 30 influencers who were already part of their campaign, the event brought in 39 more influencer participants. These influencers generated 260+ social media posts about the event, which resulted in 821,577 impressions. They also shared Instagram Stories during the event, helping them reach an average of five frames per Story. Influencers creating content about your event is a great way to expand your reach and bring in new audiences. But that’s not enough. You should also create and share content about the event well after it ends. The idea is to showcase the influencer attendees, which will help increase your credibility and engage your existing audience. If you had any professional photographers for the event, you can share those professional photos on social media and your blogs. These images will look enticing, and help generate fear of missing out when coupled with a few sentences explaining what happened at the event. This might drive more people to attend your next event if it’s open to the public. It can also convince many influencers to join your campaign in the coming months after they see how legitimate you are. You can also share the photos taken by your influencers during the event. You could repost them to your brand’s social media profiles or share them in your Stories. This will give some visibility to the influencers as well while helping you engage your existing audience. But make sure you get the influencers’ permission before you share their content. 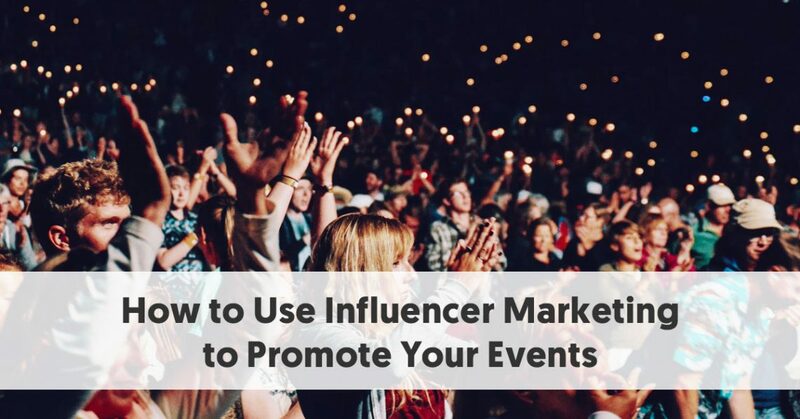 These are some of the best ways to use influencer marketing to promote your events. Don’t forget to carefully plan your campaign and invite the influencers well ahead of time (at least three weeks in advance). They’re busy people with tight schedules, so you need to make sure they can free up their time to attend your event. And if they reject your invitation, you will have sufficient time to look for other influencers to invite.